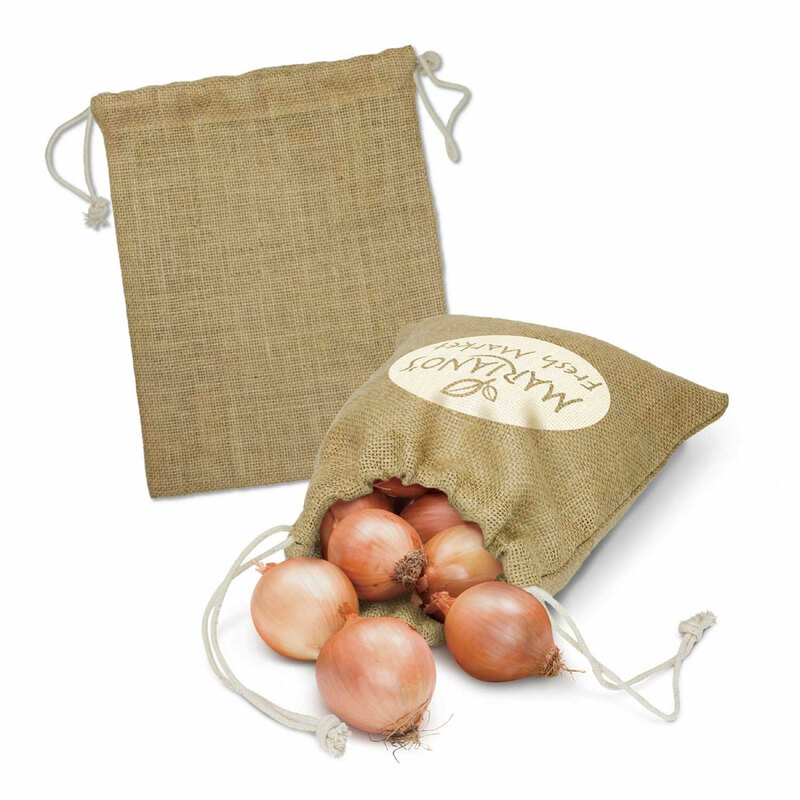 A jute fresh produce bag perfect for transporting and storing your fresh produce! Go Enviro-friendly, go Jute! These bags have a drawstring closure and are ideal for transporting and even storing some of the heavier produce items from supermarkets or farmers markets. 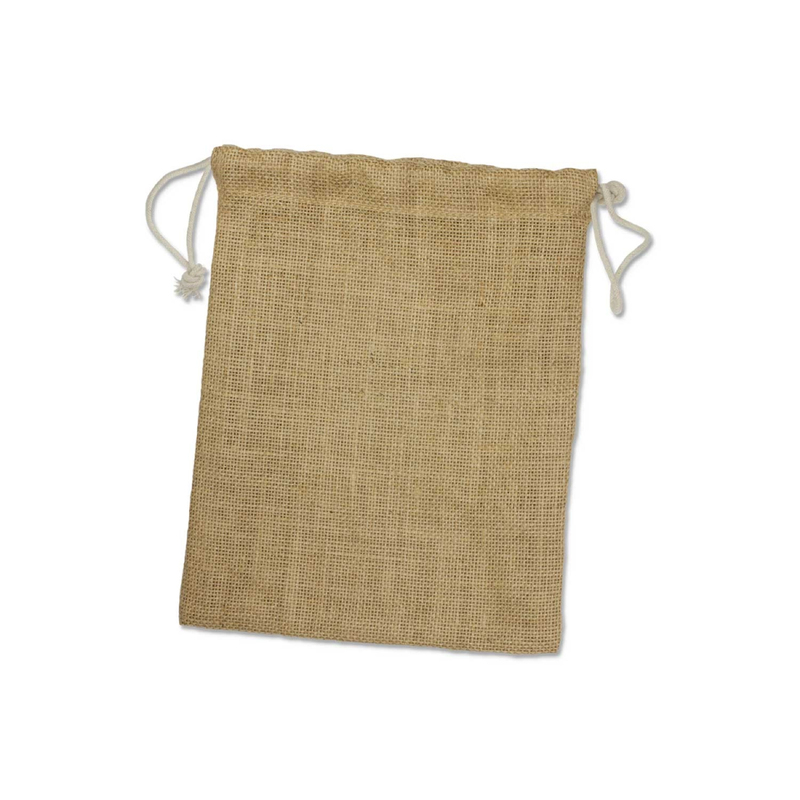 Jute is a prime candidate for carrying produce due to it's breath-ability, re-usability and biodegradable and environmentally friendly properties. 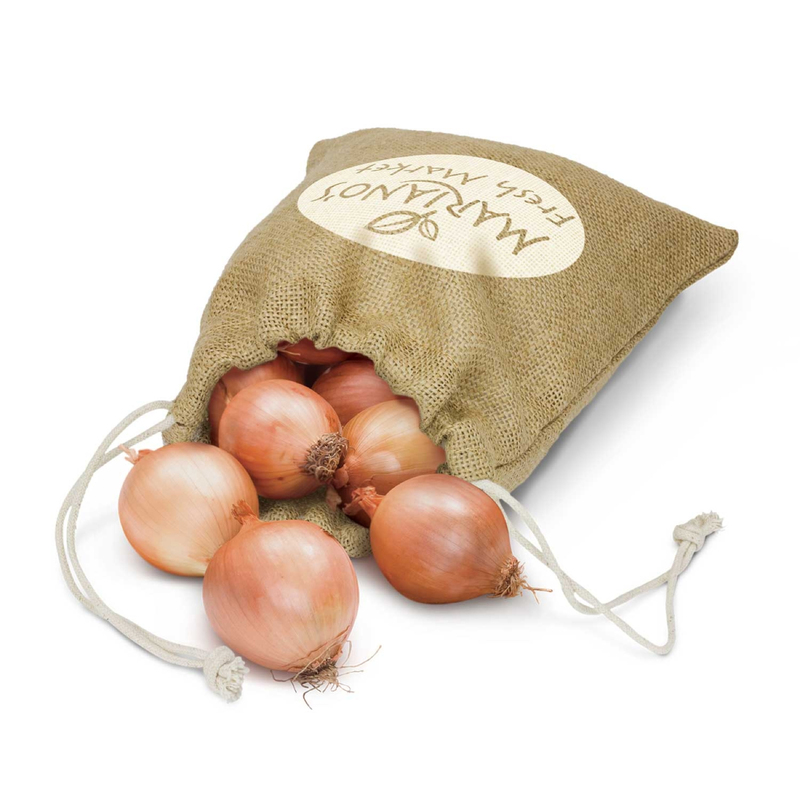 They also offer an effective decoration space that allows for a big impression to be made!